Happy Chinese New Year! Welcome to the year of the snake. It is a year of metamorphous. 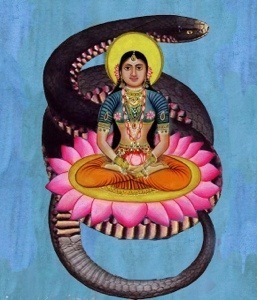 The snake encourages us to shed our dark outer layers (all of our fear-based habits that do not serve us). This allows us to emerge out of dormancy into a more fulfilling and abundant life. It seems like everything is pointing toward positive expansion. Jupiter, the guru, went direct on January 30th granting us good karma and is guiding us toward greater physical, mental and spiritual well being. The new moon occurs on February 9th PWT in coordination with a group of stars called Danistha, known as “the wealthiest.” The new moon is in coordination with Capricorn so feminine power and energy is at a high point during this lunar cycle. It is a wonderful time to set goals that embrace and honor your intuition, adaptability and creativity. Most new moons are excellent for meditative inner contemplation, however, this new moon ignites communication and telepathy. By engaging verbally with others we problem solve together to find new enriching ways to live our lives. Be highly present and listen. With the help of others, the answers will appear in front of you. Embrace transformation and allow yourself to emerge into a life of fulfillment.